The night before our baby boy’s first birthday, Benji and I sat at the local Italian restaurant and reminisced over every detail of his little life. We recounted the day of his birth, the exact place in our room where he was born, the way his hands seemed too big for his tiny body, the way his precious face was so smooshed. We marveled at the beauty of that day, the closeness and the peace we felt as we brought him into the world. With joy and laughter we talked of his sweet personality, all the funny new mannerisms he is learning and the way he just adores his sisters. We talked of what we would do the following morning to celebrate him – cupcakes with his sisters who are his favorite people and a boda ride with our dear Uncle Fred. We laughed about this becoming Noah’s birthday tradition, picturing him as a teenager and Uncle Fred as an old man riding around the block on his motorcycle. And as joy over his little life filled up my heart, something else slipped in quietly, too. The deep grief that has taken me by surprise so many times this year as I cuddled his tiny sleeping frame, watched all his firsts and comforted all his cries. For with all the beauty and joy I get to experience with my son comes the stark realization of all I didn’t get with my daughters. I know them just like I do him, as if I birthed them from my own body. I can see in my mind the different shades of brown of their deep eyes and the unique shape of each of their fingernails and I can hear their distinctly different laughter ring through my head and my heart even now as they are snug in their beds. Our love came more slowly, more gradual, and with more effort than my love for this boy, it’s true, but today, my love for each of them is this same deep, aching momma-love that threatens to break your heart and make it burst for joy all at once. So that’s where I have been the last few years, friends. Birthing the beautiful gift of a baby and marveling at the love that God faithfully gives me for each of my babies. Sitting with Him in my questions and my grief over the things I didn’t get with my others, things that I so deeply long for as, of course, any mother would, and simultaneously praising him for the beautiful gift of this boy who has brought so much peace, comfort and unity to our family. And while I grew a baby in my womb, God began to grow something else in my heart. About half way through pregnancy, He began to whisper, “It’s time.” And as I birthed new life, He birthed a new story in and through me, one that had been growing deep inside for much longer than nine months. For the first time in nearly a year, I sat and began to type the words of my heart. The words turned into pages and the pages turned into a story and as I wrote it for you, I was writing it for me, too, and the Lord was graciously reminding me of all the beauty and all the Truth He has shown me through both the joys and the sorrows of our last many years of life. His grace has been sufficient for us. His love has been enough for us. Through all the trials and all the celebrations, through all the sorrows and all the joys, our Faithful Father has pursued us and held us and known us, and we have known Him. My prayer is that you would know Him too, more deeply and intimately than ever before, and that His whispers to me typed here on these pages would invite you deeper into His arms and His heart. Hi katie, I love the end of your blog (I loved all of it). Thank you for encouraging spiritual growth. I feel like I have been lacking in that. I have recently watched two friends go to Moldova on a mission trip and feel God telling me to go. Everytime I think of mission work, I think of your amazing story. It encourages me more than you know. I have recently discovered how life is short and I can’t waste my time. I just finished my freshman year in high school and am constantly surrounded by people not worried about tomorrow, me included. I would love to hear ways you opened up foreign misdion work oppurtunities. Thank you so much for your example! Congratulations on the growth of your family! So much joy; what a blessing. I can NOT wait to read this next book of yours. I have missed your writing “voice” so very much. (although of course I am sure you’ve been very busy!) Thankyou for writing again!! Simply beautiful. I cannot wait to read your next book. Can’t WAIT for the new book. We are 180 pages through Kisses from Katie, reading it as a family with my husband, and our 3 daughters (ages 4 1/2, almost 6 and 7). We are inspired and challenged. Thank you so much! I loved your first book and can’t wait to read your new one! You’ve been in my heart and on my mind a lot lately, as we recently learned that my brother-in-law will be moving to Uganda (near Jinja, I think) in September. May you continue to be blessed in the mission of your life. Your blog has changed my life. I have a picture of you and all your kids up on my wall in the kitchen telling me I can do all God has called me to do too. We are near adoption day of siblings 1, 2, 11, 16 and I relate to your post above. I got to take the littlest home from the hospital and comfort all her cries. She will never know neglect or a drunk parent, but she will also never know her momma the way her older siblings do and for that my heart hurts for her. I have wanted to be your friend so many times just to ask you how you got through this and that emotionally, etc. Just super glad now that you are blogging again. So much I want to ask you, but maybe God will just know and speak to me through your courage and open-ness. So glad you are sharing again Katie. Thank you. I’m so excited about your new book. I was wondering when another one would come out. Your last book blessed me so much that I bought several copies and shared it with friends. I do mission work in South America so know a little about being on mission with Jesus, and being blessed by the local people there. God bless you and your family Katie! Hello Katie. I’m so glad you started writing again! I read your first book when I was 17, and now I am 25 years old. Your book inspired me so much during my teenage years,and now I am serving in Guatemala as a Humanitarian worker. I’d like to say thank you for all your wonderful stories that you shared with us and being such an inspirational Godly woman! God bless you! i’m a 16 year old and in 15 short (hopefully, i don’t know if i can handle the waiting any longer) days i embark for a three week mission trip to Mozambique. i read your book a month ago and it changed my life. my heart has been for the people of Mozambique since i was very, very small. my grandmother started an organization there and i have grown up loving these people and their joy for life even in difficulty. the Lord has laid these people on my heart and i am ecstatic to finally be able to serve and love them in just a few days! although i am very fearful for what will come, i am taking the strength i find in Jesus and the encouragement i have found through your story with me! it is my dream to someday live in Mozambique and adopt as many children as the Lord calls me too. if i do not get to come serve with you someday even though it is a dream of mine, you and your beautiful family are constantly in my prayers! I just read your book and it is so inspiring. looking forward to reading your new book. Thank you being obedient to The Lord and His calling on your life. I’m so grateful to God that he has given you the ability to write about God’s faithfulness! Through your writings, God reminds us He is writing a story for each one of us. Reading your story, brings me to tears and fills my heart with wonder and if nothing else teaches me to be faithful with what God has put before me. I can’t thank you enough for saying yes to God. While you are changing the lives of those in Uganda, God is using your heart and your story to encourage and inspire others to make the most of the lives God has given them and to inspire them find their own calling that God wants them to follow. Thanks for taking the time and effort to write your next book. I know it will encourage and help so many. 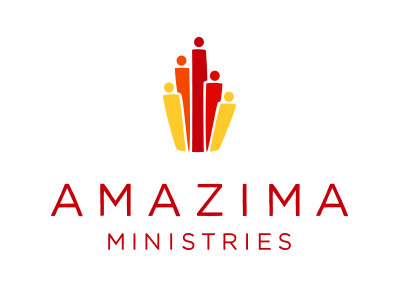 It will be a part of your ministry that may have the greatest reach on the Body of Christ and the greatest impact in the world as you inspire so many others to follow Christ and do their part to change the world. I would love to interview you on my podcast “The Epic Christianity Podcast” to help you promote your new book and your ministry. We need more Christians like you and I hope to share your story and others to help build them. I will keep you, your family, and your ministry in my prayers. I am so thankful for your first book and cannot wait to read this one! Your words spoke so much to me as we visited my niece today that just gave birth in the same hospital that I gave birth to 7 of my children. One of my little adopted guys was with me and said, “Mommy, I wish you had me here!”. “Oh buddy, how I wish I did too! I could have known and loved you since birth, and we could have avoided so much trauma! However, God had other plans, and is giving you your own story, one of His goodness to someday share with the world!”. 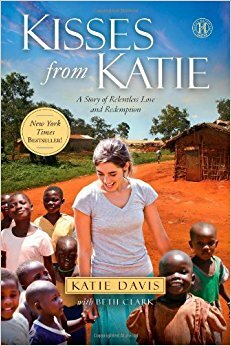 Thank you, Katie, for sharing your story with the world! I just finished your first book and had to research your blogs, I am so happy for you, your marriage, the birth of your son and the beautiful smiles of your daughters. You are an inspiration to all. May the Lord continue to bless you and your beautiful family! Looking forward to reading your new book. I am 26 years old and have been following your story. I get so touched when I read about your first few experiences in Uganda. I have to ask how you continue to love in the midst of hardship. I’ve known God’s love but with unexpected situations I’ve grown hard and afraid to be hurt. I am asking God to restore His love in my heart for others, but I want to know … does loving ever become less of a struggle? Does it become a deeper, harder struggle? How do you keep loving when you’ve lost all your strength?